This epic 14-day race, known as the west coast's wildest challenge, will take us over 600 nautical miles to sail around the Vancouver Island. Adventure abounds as we sail away from city life and into the real west coast wilderness. Conditions are challenging the whole way around as we'll face some of the strongest tidal currents in the world, days of transiting narrow passes, variable winds and the wild waves of the open Pacific ocean. The race is split into 9 legs, allowing race crews the opportunity to visit many different communities on BC's beautiful Vancouver Island. The race starts in Nanaimo on June 1st, with festivities the night before that can't be missed! We race counter clockwise around the island, stopping every night in different towns on the east coast, but racing 2-3 days straight during the legs on the west coast. 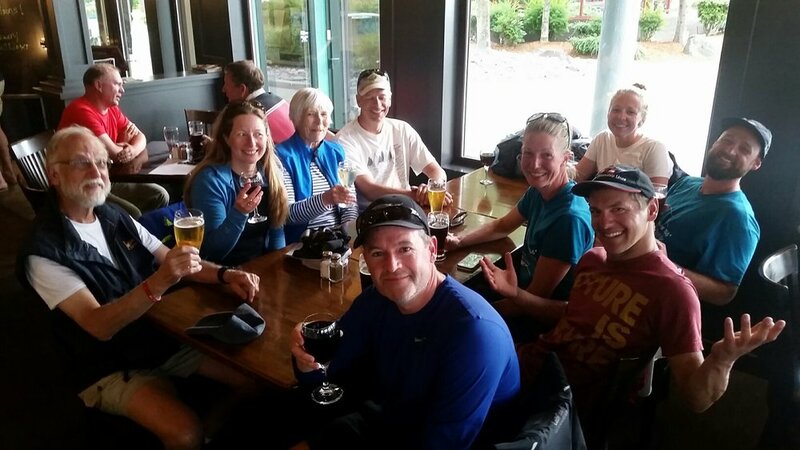 We finish in Nanaimo on June 14th, 2019. The 'Inside' legs feature incredibly beautiful scenery, highly challenging narrow waterways, and tightly competitive fleet racing each day. The 'Outside' legs provide a tough offshore racing experience on the open Pacific Ocean, with stops in some of the most beautiful and remote areas of the west coast. The VanIsle 360 is not to be entered lightly. It is a major time commitment and a test of each crew member's sailing skills and stamina, and most importantly of our teamwork overall. We will be taking a team of 8 sailors around Vancouver Island in June 2019, supported by a dedicated shore crew the entire way. Our professional skipper and watch captain will coach a team of Core Crew and Student Crew safely around the island, honing our teamwork, sailing skills and thirst for adventure along the way. Core Crew are on board for the duration of the race, while Student Crew are able to join for select Stages, each lasting 3-5 days. Student Crew are able to join the Sea to Sky Sailing campaign for any of the 4 stages of the trip around Vancouver Island. These positions are open to ages 19+. The deadline to commit to a Student Crew position is March 1, 2019 with full payment due at registration. See details below on requirements, the available stages, and registration information. Competent Crew certificate, equivalent experience or higher standard. Have racing experience on a yacht. Join Sea to Sky Sailing for some club racing or some of the big racing events leading up to the VanIsle! Participation in a Racing Event with Sea to Sky Sailing. Core Crew commit to the entire 14-day race, delivering the boat to and from Nanaimo before and after the race, as well as at least one Qualifying Event (see section at bottom of this page). Core Crew positions are available by application only. Day Skipper certificate, equivalent experience or higher standard. 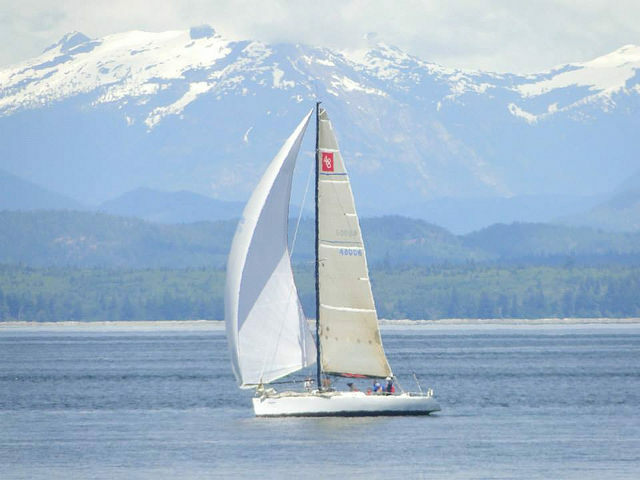 Racing experience including a minimum of 2 major Racing Events with Sea to Sky Sailing. Considerable additional sailing experience, with preference given to race crew experience. ISAF recognized Safety at Sea certification (2-day certificate). Contact us for more information on this superb survival training course offered through BC Sailing and other organizations. Sea to Sky Sailing Race Team membership. You will receive hands-on training from our experienced skipper/instructor and watch captain throughout the race. You will be a valuable part of an enthusiastic team where the primary goal is to have safe, fantastic sailing experiences each and every day. You also get to live on a boat for the duration of your crew commitment! You can expect a lot of fun and new experiences with a rustic level of comfort. Showers are limited to some of the overnight stops during the race. We will be living in close quarters with each other. Our wonderful shore crew will be supplying us with groceries and other crucial support, and we work as a team to prepare all our meals and keep the boat ship shape throughout the race. Registration includes all food and beverages on board (you are responsible for your own food and drink costs on shore since these are optional). Also included: accommodation on board, race fees, top of the line safety equipment, fuel, shore support, and all other costs associated with the race. You are responsible for your own transportation to and from the boat, your own travel insurance, etc.